Hello friends! Since we last met, Spring officially arrived and we couldn’t be happier! While it doesn’t guarantee us nice weather, at least by now we always have the hope that this season brings with it, right? 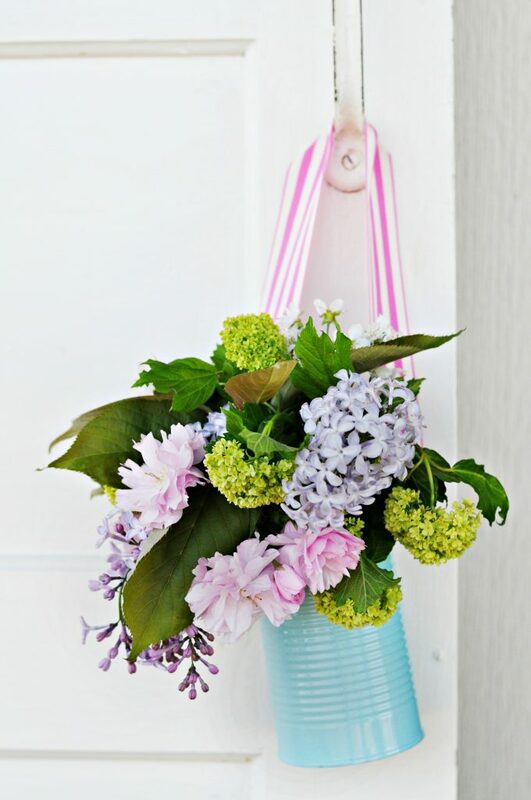 We thought that we would celebrate saying ‘goodbye and don’t let the door hit you on the way out’ to winter and ‘hello you are so very welcome here’ to spring by sharing with you some of our most favorite ideas and inspiration that capture the very best this season has to offer. 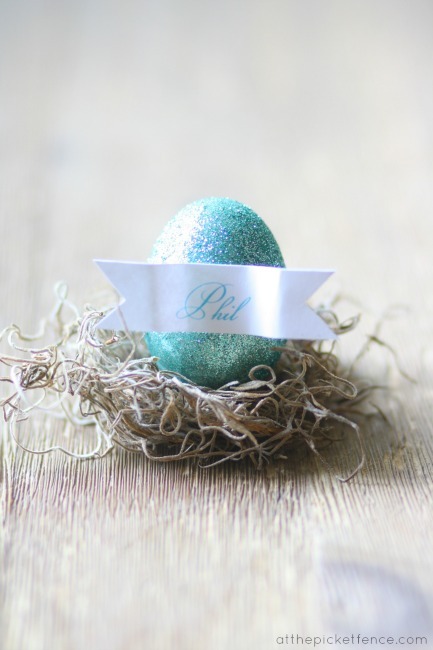 These Glittered Egg Place Cards would be so perfect for your Easter table, wouldn’t they? 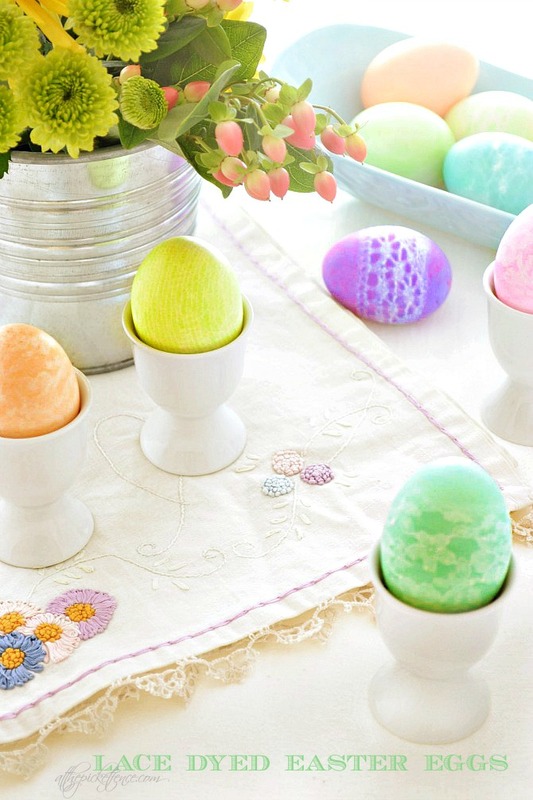 And while we’re on the Easter egg theme, look at how darling these Lace Dyed Eggs are! 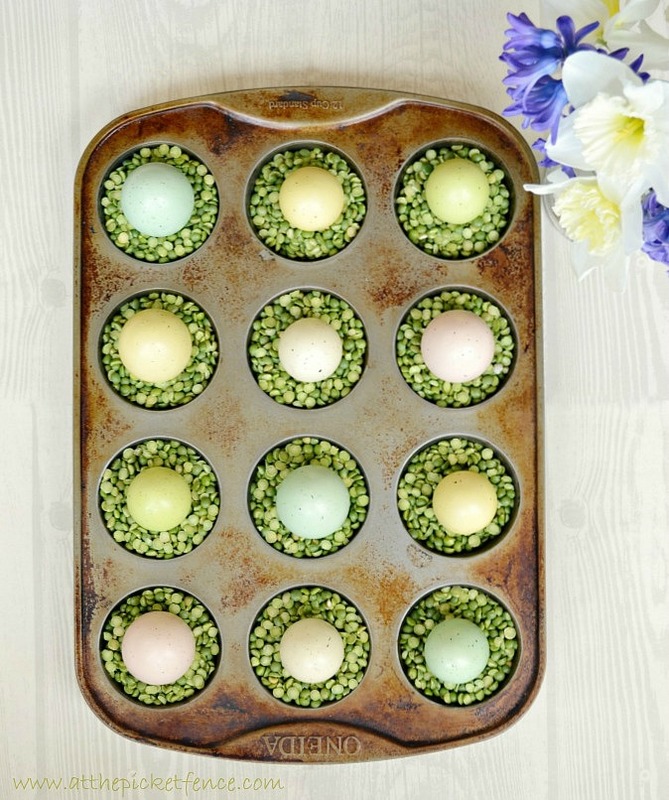 This muffin tin filled with split pea nests would make such a cute and easy centerpiece. 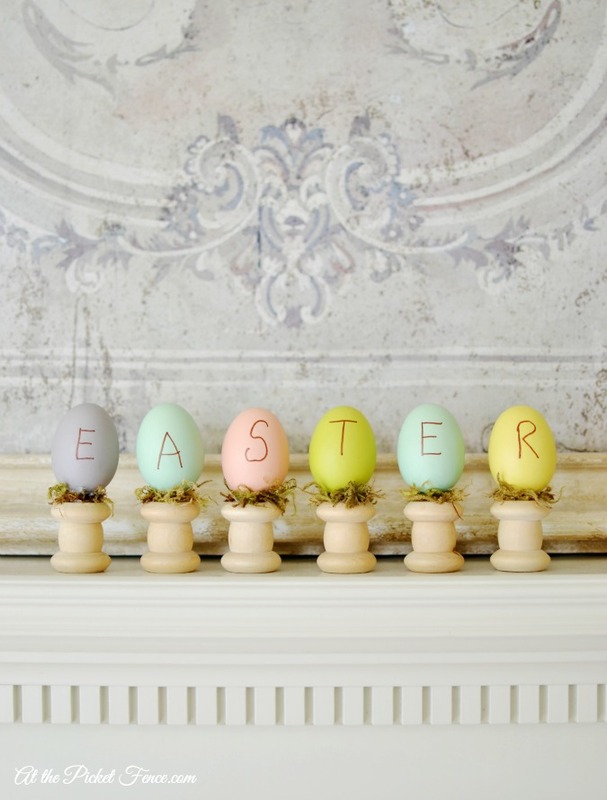 And what about this Easter tabletop decor? 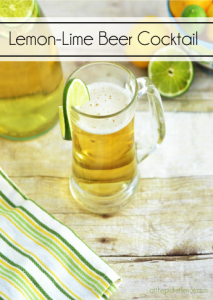 This project is actually featured in our book ‘Life in Season’! 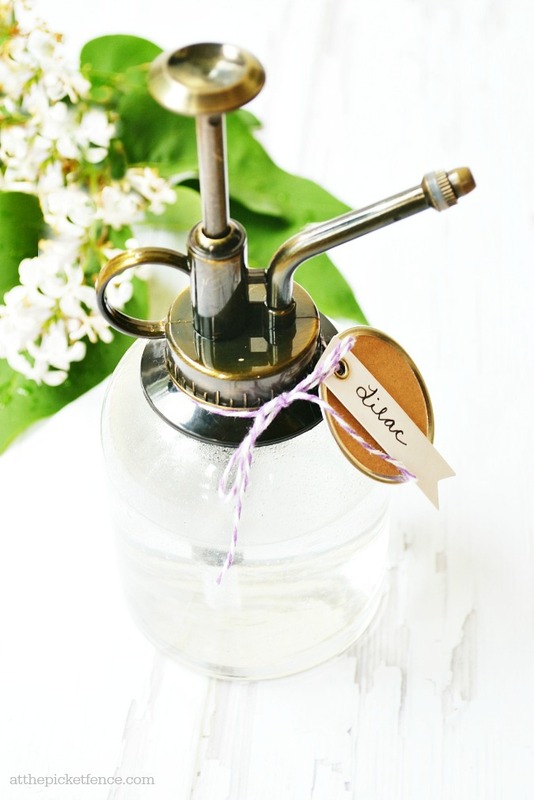 Lilacs are so wonderful when they’re blooming but then they’re gone all too quickly which is why this homemade Lilac Scented Room Spray is so perfect. 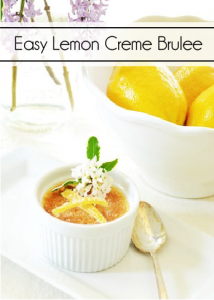 And of course we would be remiss if we didn’t include a yummy recipe. 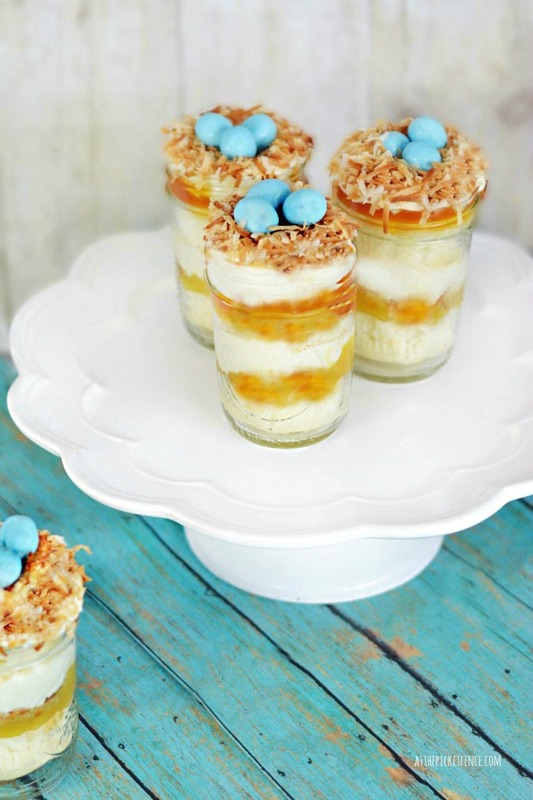 These bird nest mason jar cupcakes are a favorite for sure! Now, we have an EXCLUSIVE opportunity for you today! If you subscribe to At the Picket Fence, we will send you an excerpt from our book ‘Life in Season’ which will include one story and the full tutorial for this darling Tin Can May Day Basket. P.S. We are so excited to be featured today in the Washington Post as part of an article about entertaining at home when you have young kids. It’s pretty fun to see our names there! 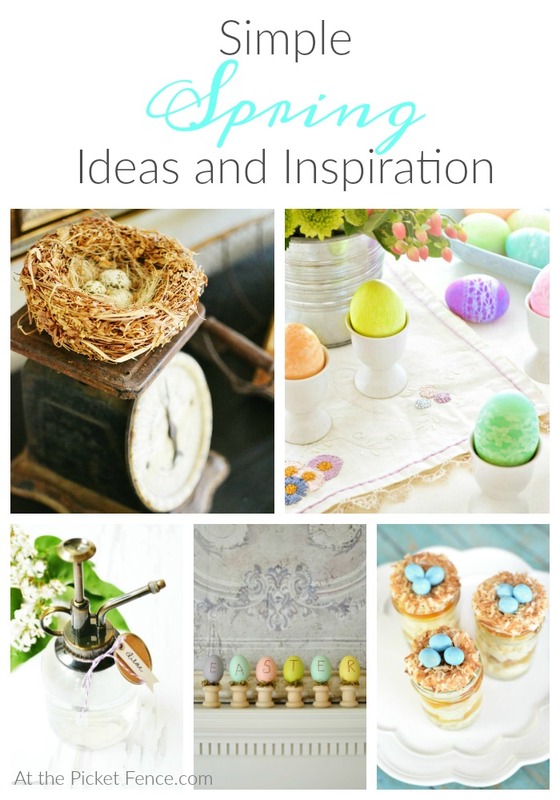 5 Comments on "Our Best Spring Ideas and Inspiration"
Thanks for the spring ideas! So clever and easy! Thank you for stopping by Teresa! 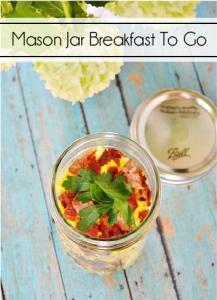 So many cute ways to use eggs for spring decor! I really enjoy putting dyed eggs in a decorative bowl either in the kitchen or in the dining room. Thank you Charlotte! I do the same things with our dyed eggs. So fun and pretty! Aww the eggs are so so cute, love the styling!